At various time in the season, usually the start and end of the season, there may be a need to conserve heat loss in the coldframe and or the greenhouse. 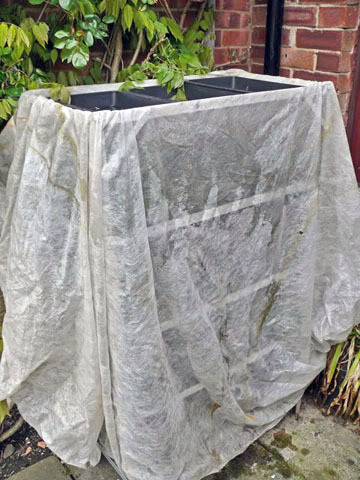 Provide temporary covering to plants with thermal fleece, or even newspapers. Insulate cold frames from frost by covering them with sheets of polystyrene, sacking, or discarded carpet. 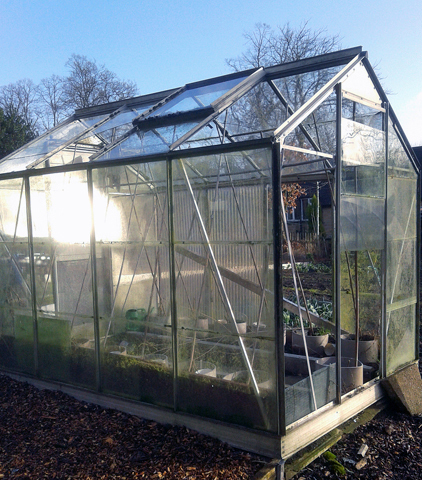 If only a few tender plants under glass require protection, save on heating costs by partitioning off a small section of the greenhouse with sheets of bubble plastic. 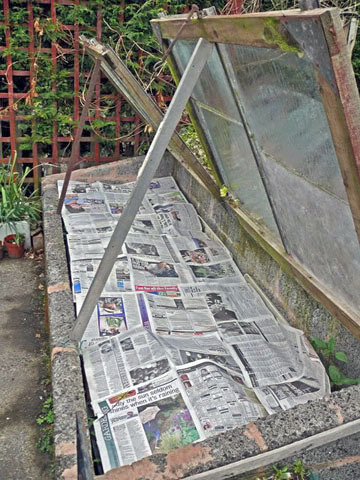 Check greenhouse for broken panes of glass and replace as necessary. Replace missing glazing clips and worn draught proof strips on doors. Install Bubble polythene sheeting to the inside of the greenhouse, and to the underside of cold frame lids. Overlap strips to stop draughts. Ensure it remains constantly taut, to prevent condensation dripping on to your plants. Check your heater is in perfect working order. If paraffin burners appear smoky, check that you've used the recommended grade of fuel and where applicable that the wick is trimmed correctly.